I swear by my pair! I have the glossy black, but I do wish I had gone with a bright color. I think they're all cute and simple! 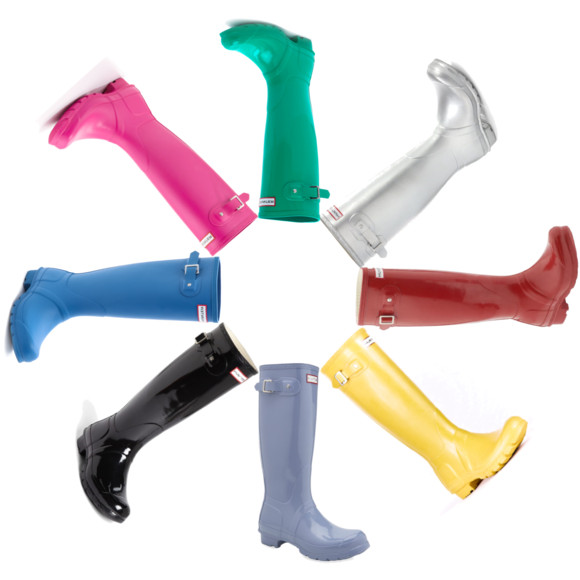 But since they're rain boots and meant to be casual, I vote for a bright color! You really can't go wrong either way. I just got the pink and I am in LOVE--but I would also love a classic black pair :) Ekk hard decision! I think you should go with your signature color! But then again, I'll always choose pink! I have the green ones and I love them! Such a great investment.